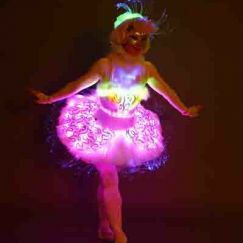 Aerial Illuminated Fairy and walkabout character. 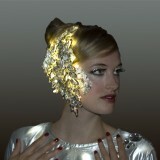 And now for something completely different, that is sure to wow guests of all ages. 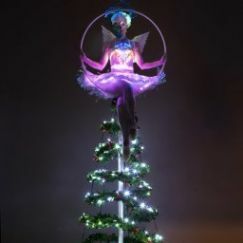 This illuminated Treetop Fairy aerial performance features a stunning spinning Christmas tree, complete with it’s very own real life angel. 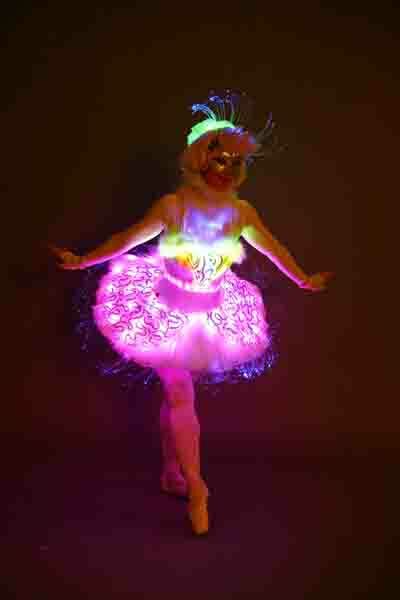 What’s more, our angel has a fully lit, LED costume which magically flows, fades and flashes between a beautiful array of colours, so bright they can even be seen in the daylight! 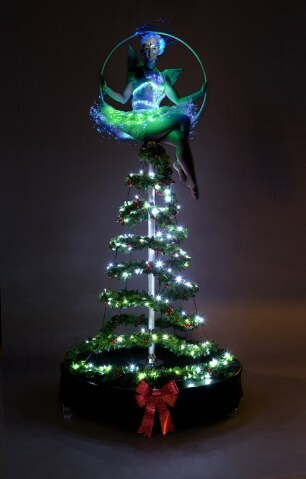 Fully self-contained, and needing no electrical supply or any addition support, this aerial act simply needs a flat surface on which to perform. 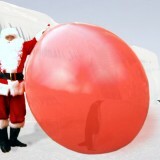 Absolutely great for any event, both indoors and out. 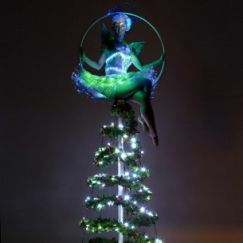 She is also available on a traditional rotating aerial ring (without a tree), and as a gloriously glowing walkabout/meet and greet/ mix and mingle character. A gentle, beautiful character performance, which will light up your life! The ring is a self supporting aerial structure which needs no external means of support. Safe working heights / diameters are based on the current act. Aerial ring needs to be placed on a flat surface. short distance into place for the performance. Three strong people are needed to carry the unit. The pole/hoop is then placed onto the central spigot. 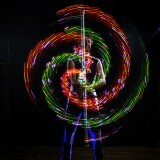 Direction will be given by the performer. measures will be required throughout the event to ensure that no one attempts to climb on to the rig. This is the responsibility of the venue or booker and not the artist.